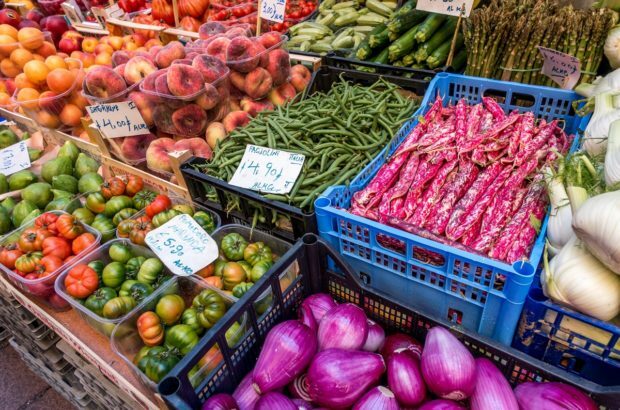 Emilia-Romagna is a food lover’s paradise. From its expertly-made pastas to its carefully cured meats to balsamic vinegar that’s been made in the same way for centuries, Emilia-Romagna food is what dreams are made of. The region is considered by many to be the “breadbasket” of Italy, the culinary heart of the country. A two-week visit isn’t enough time to try everything Emilia-Romagna has to offer, but we did our best. Here are some of our favorite foods from around the region. 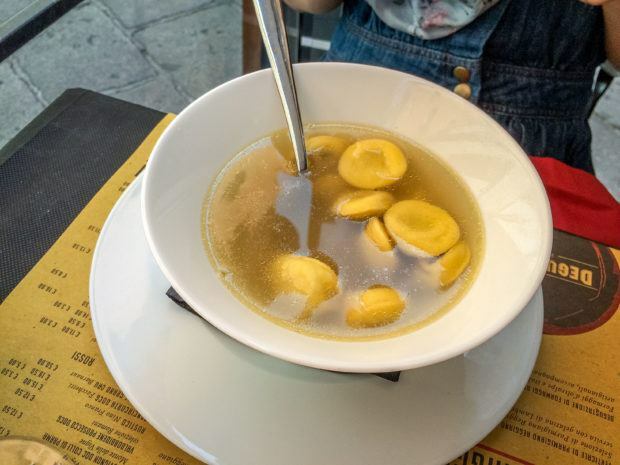 Anolini are a type of round stuffed pasta served in broth, according to a typical Emilia recipe. Originating in Parma, the pasta is usually stuffed with cheese, bread crumbs, and nutmeg. Anolini in brodo (and its close cousin tortellini in brodo, a dish of Bologna) are traditionally winter dishes and are often part of the Christmas celebration. However, I had my dish on a lovely summer afternoon in Parma, and it was still fabulous. 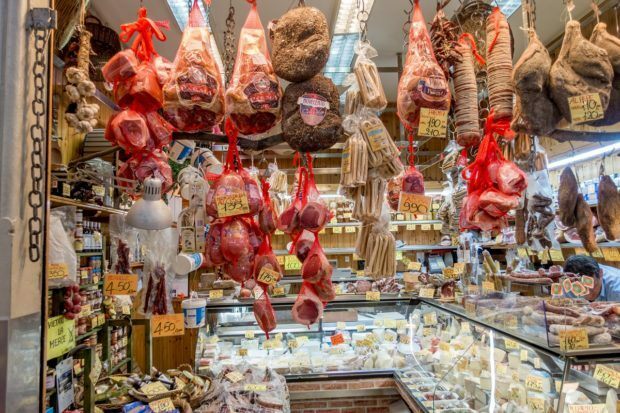 Cured meats are the thing in Emilia-Romagna. Two of the most popular are mortadella (also known as Bologna, after the city that invented it) and Prosciutto di Parma ham. Mortadella is a sausage made of ground lean pork (or pork and beef) that is dotted with small cubes of fat, known as lardarelli, as well as whole grains of black pepper. Prosciutto di Parma—a mild, sweet ham cured bone-in—is one of the most popular in Italy. Chestnuts from the Apennines are a popular food throughout Emilia-Romagna. In salty and sweet dishes, chestnuts can be used whole, chopped, or even ground into flour. They’re often seen in desserts, made into crepe-like breads, and used as flavorings for liqueurs (my favorite, of course). Chestnuts are so popular that there are multiple festivals celebrating them throughout the region. One of the most famous Emilia Romagna foods is Parmigiano-Reggiano. A cheese that has been part of Italian culture for over 1000 years, Parmigiano-Reggiano can only be produced in Bologna, Modena, Mantua, Parma, and Reggio Emilia using milk from local cows. Aged for at least 12 months, the hard cheese takes on a slightly salty, lightly nutty flavor that deepens with age. 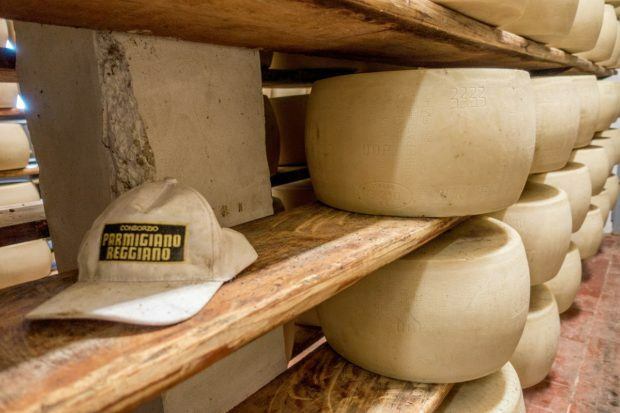 Not only is Parmigiano-Reggiano a must-try on any trip to Italy, but a visit to a dairy makes for a fun and insightful half-day activity. 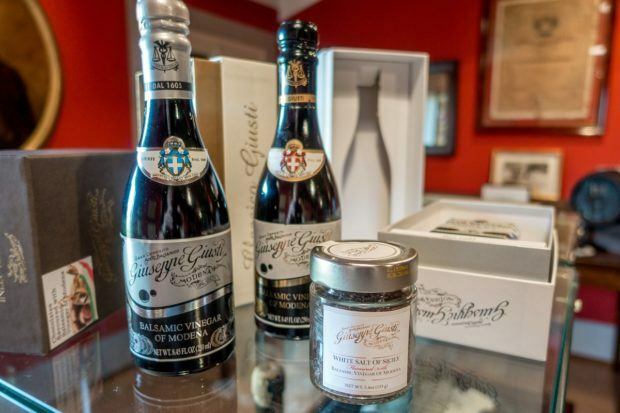 The traditional balsamic vinegar (aceto balsamico) of Modena is different from anything most of us have ever bought, especially in a grocery store in the US. The true aged vinegar—known as black gold—has been produced for centuries under strict quality standards. Local Lambrusco and Trebbiano grapes are cooked and aged in wooden casks for 12 years (for a good vinegar) up to 50-100 years (for something out-of-this-world). 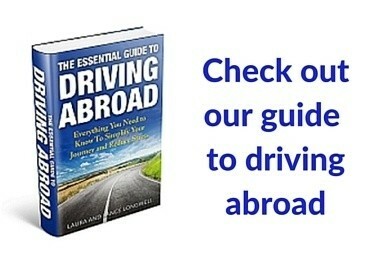 Italians use the sweet syrup on everything from cheese and grilled meat to ice cream. 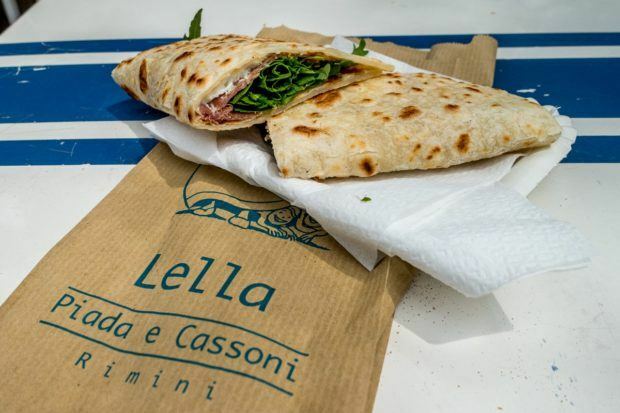 Found throughout Emilia Romagna, piadina are traditional flatbreads filled with all manner of delicious vegetables, cheeses, or cured meats. Made with just white flour, olive oil (or lard), salt, and water, these mainstays of Emilia Romagna cuisine started out as peasant bread. Today, they’re everywhere from stands at the seaside in Rimini to the menu of Eataly in Bologna. 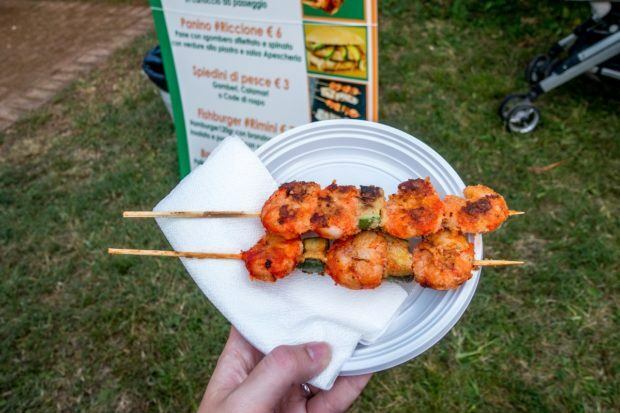 They vary a bit by city—thinner in Rimini and thicker in Bologna, for instance—but they’re a perfect meal everywhere. 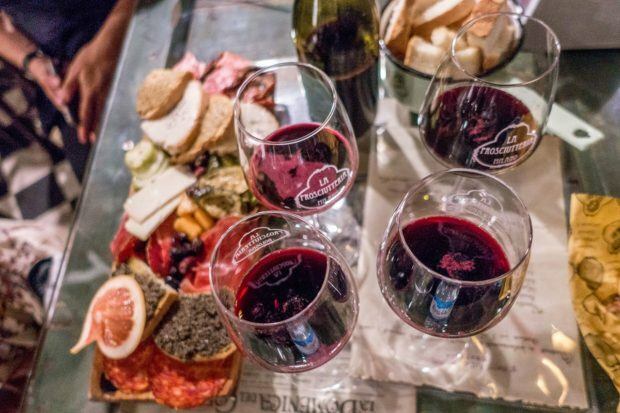 In Emilia-Romagna, I got to expand my knowledge of my favorite food—wine. The region is known, in particular, for the sparkling wines Lambrusco and Pignoletto. Lambrusco is a red, usually sweet wine that is double fermented to produce the bubbles, although drier varieties are available. It was once a very popular export to the US and is widely available in Emilia Romagna. Pignoletto is a crisp, light white whose origins trace back as far as the first century AD. It is available in sparkling and non-sparkling varieties everywhere from food markets to fancy restaurants. The eastern border of Emilia-Romagna is the Adriatic Sea. The coast is home to a number of beach resort towns—Rimini is the largest—brimming with restaurants serving amazing seafood. From simple grilled shrimp, to mussels, calamari, and all varieties of fish, there are so many fresh options. 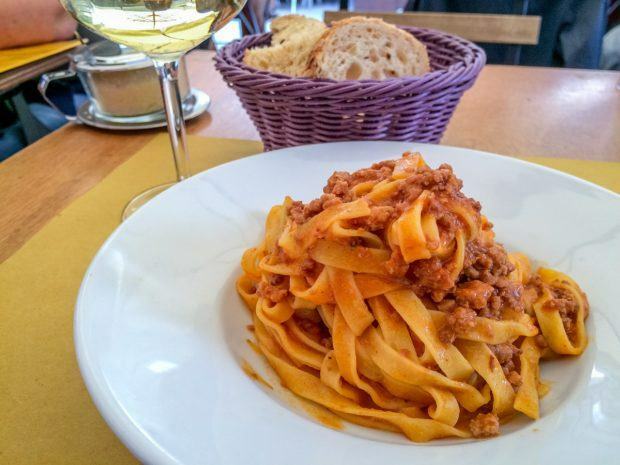 Bolognese sauce is possibly the most famous food from Bologna, where it’s generally known only as “ragu.” The thick, hearty pasta sauce is made with a combination of minced pork, veal, and beef and is enhanced with milk or cream. 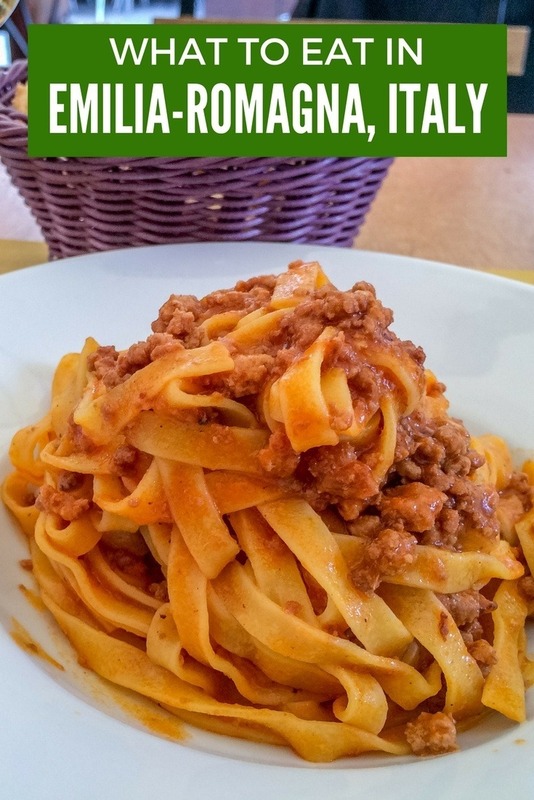 Sometimes spiked with fresh nutmeg, ragu alla Bolognese has just a touch of tomato and is best served with tagliatelle or as part of a lasagna. Zuppa Inglese is a popular dessert that originated in Emilia-Romagna about a century ago. Similar to an English Trifle, in Zuppa Inglese, ladyfingers are dipped in a red, herbal liqueur and placed in alternating layers with egg custard and my personal favorite, chocolate egg custard. Gelato is by no means only an Emilia-Romagna food. But Bologna is home to the only gelato museum in the world, and gelato is made amazingly throughout the region. 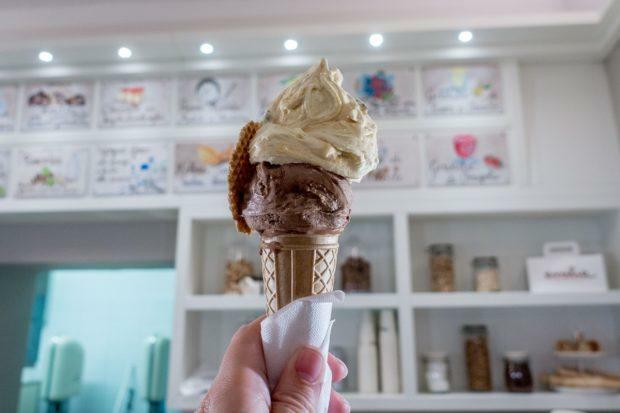 This cousin of ice cream can be found on almost every city block. To pick between them, look for shops that keep their creamy goodness cold in the counter, not piled high and slightly melty. Also look for natural colors, not crazy blue or bright green. We visited Emilia-Romagna as part of the Blogville project in coordination with the Emilia-Romagna Tourism Board and iambassador. 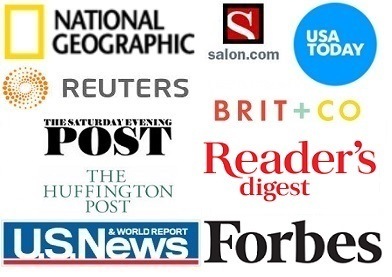 All opinions of the fabulously delicious are our own. What do you think about Eating Our Way Through Italy’s Breadbasket? Wow….all these foods are really amazing. I just love the Gelato. Thanks a lot for sharing such a great post.